Palm Springs is a desert resort city known for its warm, year-round temperatures, golf courses, midcentury modern architecture and its palm tree-lined downtown streets. The city is located at the base of the San Jacinto Mountains in Riverside County. During the 1930s, the Palm Springs area became a popular destination for tourists and Hollywood stars due to its close proximity to Los Angeles (107 miles). The city was officially incorporated in 1938. Today, Palm Springs is home to over 46,000 residents. The median age in Palm Springs is 54, almost 20 years older than the median age in Riverside County (35 years). The median income in the city is $46,059, slightly lower than the Coachella Valley average of $51,628. The majority of the population in the city of Palm Springs is White (62%), with the second largest population being Hispanic (26%). Compared to other cities and places in the Coachella Valley, Palm Springs has a relatively high number of Healthcare and Financial Institutions. 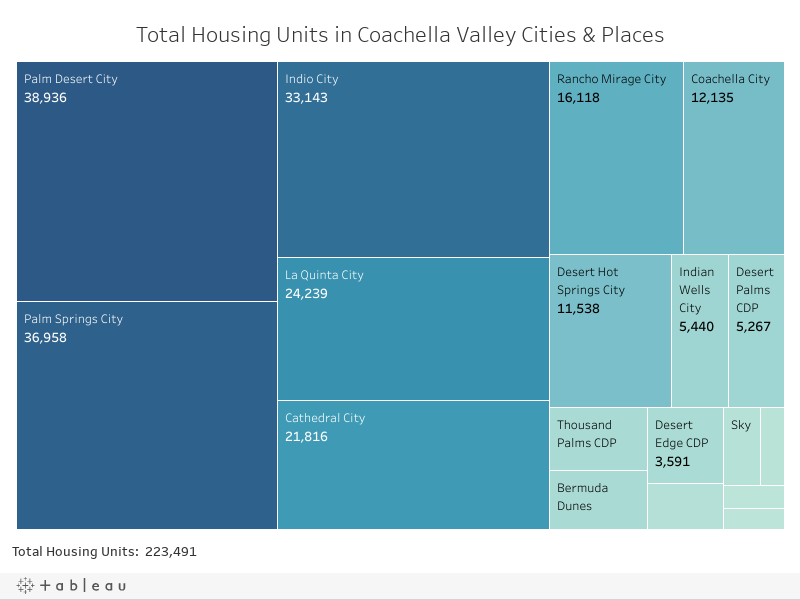 Explore the visualizations below to learn more about demography, housing and social connectedness in the city of Palm Springs and how the city compares to the state, county and other places in the Coachella Valley. Palm Springs is the fourth largest city in the Coachella Valley with a population of 46,714. The city stretches across 94.1 square miles, making it the 10th-largest California city by land area. The average household size in the city of Palm Springs is 1.96 people, and 60% of the 23,556 households in the city are made up of non-family households (individuals living alone or with non-relatives) - well above the Coachella Valley average. Palm Springs has a median age of 54 years old, relatively older than the state median age of 36 years old and the county median age of 35 years old. 47.7% of the city is over the age of 55, which is high for both the Coachella Valley region, Riverside County and the state of California. White residents in Palm Springs make up the largest portion of the population (62%), followed by Hispanic residents (26%). Compared to other Coachella Valley communities, Palm Springs also has a relatively large Asian population. Almost 20% of the population in Palm Springs are immigrants, which is below average for the Coachella Valley, Riverside County and the state of California. Select a community to the right of the chart to see how the size of its immigrant population compares to the city of Palm Springs. 43% of Palm Springs' immigrants are citizens, a relatively high rate compared to many other communities in the Coachella Valley. There are 36,958 housing units in the city of Palm Springs, making up 16.5% of the total housing units in Coachella Valley cities and places. Hover over each box to see how the city of Palm Springs compares to other communities in the Coachella Valley. Median gross rent in Palm Springs is $973, which is roughly average for the Coachella Valley. 56.3% of renter households in the city of Palm Springs were rent burdened as of 2016 estimates, meaning they paid more than 30% of their income on rent and utilities. This is above the average rate in California and roughly the same as the County of Riverside. Select a community to the right of the graph to see how rent burden rates compare to the city of Palm Springs over time. 3.7% of households in the city of Palm Springs have more than one person per one room of their housing unit, below average for the county's overcrowding rate of 7.3%. 81.9% of households in the city of Palm Springs are living in the same housing unit as they were one year ago, slightly below average for the county's stability rate of 85.7%. 59% of households were homeowners as of 2016 estimates, slightly above average for the state of California, but below the Riverside County and national averages. Select a community to the right of the graph to see how home-ownership rates compare to the city of Palm Springs over time. Approximately 2,130 housing units in Palm Springs are designated as "affordable housing units" according to data compiled from multiple sources - making up about 15% of all affordable housing units in the Coachella Valley. Such units are available to households based on federal income eligibility requirements, and residents living in the units pay no more than 30% of their incomes towards rent. In 2017, rents at 380 housing units were being subsidized by Housing Choice Vouchers in Palm Springs. In the Coachella Valley as a whole, 1,852 units were subsidized by the program in 2017. 4.3% of the households in the city of Palm Springs are non-English speaking households. This is relatively low compared to the average across other Coachella Valley places where 10.7% of households don't speak English. Approximately 17% of the population in Palm Springs was considered to be living in a food desert as of 2015. In Coachella Valley as a whole, 35% of the population was living in a food desert. There are 245 healthcare institutions in the city of Palm Springs, well above the number of institutions in other cities, such as Desert Hot Springs (45) and Indian Wells (26). Select a community to the right of the map, or hover over the map to see how the number of healthcare institutions varies by community. The city of Palm Springs has 12 financial institutions, a relatively high number compared to many other communities in the Coachella Valley. Select a community to the right of the map, or hover over the map to see how the number of financial institutions varies by community.  *Denotes data sources that do not provide data at the city level. The starred data is an average of the census tracts containing the city. Sources Notes: All data in this community profile come from the 2016 5-year estimates of the American Community Survey with the following exceptions: (1) Healthcare Institutions and Financial Institutions which come from the 2018 Reference USA Business Database, (2) Grocery Store Access which comes from the United States Department of Agriculture in 2015, (3) Housing Choice Vouchers which come from the U.S. Department of Housing and Urban Development in 2017, and (4) Affordable Housing Units that were compiled from multiple sources in 2018.